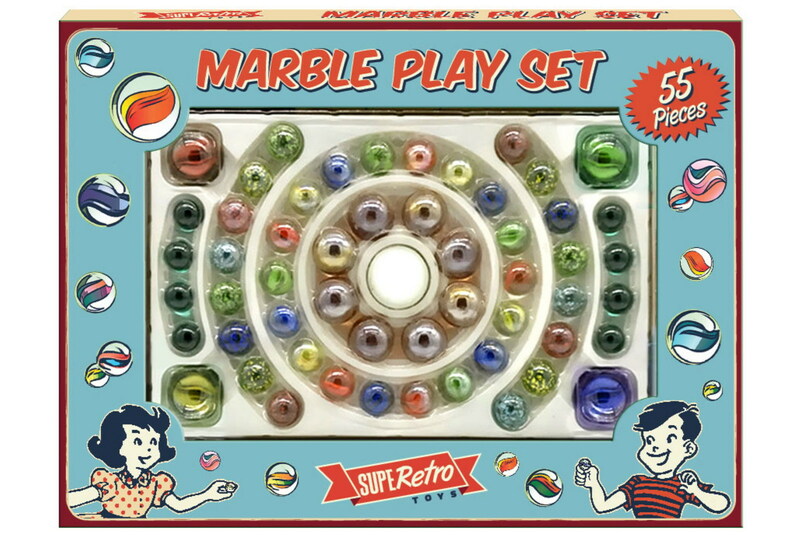 Throw it back with this super retro 55 piece marble play set! This classic game is fun for the whole family! This marble play set includes 55 pieces with a mixture of small and large marbles. Give the gift of a classic with this marbles set!